The Florida Department of Health is committed to serving members and veterans of the United States Armed Forces and their families. It is important that we recognize and honor their service to our nation. The Department is proud that over 1.5 million veterans call Florida home, and our continued goal is to make Florida the most veteran-friendly state in the nation. Military veterans and their families face many challenges. The Department is committed to supporting our military veterans by offering several licensure support services to qualified military families. 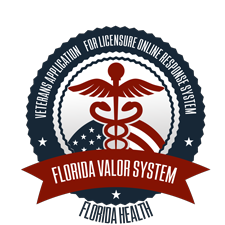 One service the Department offers is the Florida Veterans Application for Licensure Online Response (VALOR) process, which provides expedited licensing for honorably discharged veterans and their spouses seeking licensure in all health care professions. Veterans and spouses who apply through the VALOR process receive a waiver of most licensing fees. The Department offers additional armed forces licensure support, including opportunities for physicians to receive a temporary certificate to practice in areas of critical need, renewal exemptions for active duty service members holding a health care license in Florida, and temporary licensure for spouses of active duty service members who possess a valid license in another state, the District of Columbia, or any possession or territory of the United States. Through these programs, we are creating a veteran-friendly regulatory environment that encourages veterans and their spouses to choose Florida for their health care practice after their discharge from active duty. We are thankful for all who serve the people of Florida and the United States. The Florida Department of Health honors veterans, active duty service members and their families by recognizing the 2018 Florida Veteran Health Heroes and highlighting the department’s veterans support services. Over 1.5 million veterans call Florida home and our continued goal is to help make Florida the most veteran-friendly state in the nation. The 2018 Florida Veteran Health Heroes publication highlights health care practitioners who have served in the United States Armed Forces and the Commissioned Corps of the U.S. Public Health Service. This year, we recognize John H. Armstrong, MD, FACS; Paul B. Arthur, PhD, OTR/L, OTA; Paula Clark, MSW, LCSW, USAF (Retired); Derrick C. Glymph, DNAP, CRNA, AN, USAR; Stuart I. Kaplan, O.D. ; Cathlene “Cathy” McGinnis, CLS(ASCP); and Carl H. Spear, O.D. For more information about these exceptional individuals, please visit Florida Veteran Health Heroes. The department also offers several licensure support services to qualified military families. The Veterans Application for Licensure Online Response (VALOR) System expedites licensing for military veterans who apply six months before or after honorable discharge from active duty, as well as fee waiver eligibility for military veterans and their spouses for health care practitioner licenses up to 60 months after honorable discharge. The department also offers additional armed forces licensure support including an opportunity to receive a temporary certificate to practice in areas of critical need, renewal exemptions and professional examination fee reimbursements. Florida offers expedited licensure processing if you are a member of the United States Armed Forces, the United States Reserve Force, or the National Guard seeking licensure in a health care profession. In order to qualify, you must apply for the license six months before or six months after your honorable discharge and you must hold an active, unencumbered license in a U.S. jurisdiction or serve as a military health care practitioner in a profession for which licensure in a state or jurisdiction is not required to practice in the United States Armed Forces. There is no application fee, licensure fee, or unlicensed activity fee for veterans who qualify for this type of licensure. To apply, access Florida’s VALOR registration system here. Florida offers a temporary certificate to military health care practitioners who serve on active duty in the United States Armed Forces, the United States Reserve Forces, or the National Guard or a person who serves on active duty in the United States Armed Forces and serves in the United States Public Health Services. 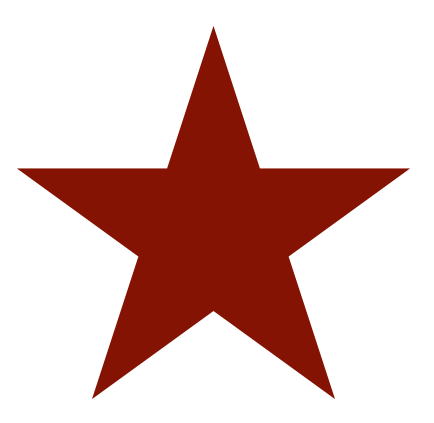 In order to qualify, you must practice pursuant to a military platform and hold an active, unencumbered license in a U.S. jurisdiction or serve as a military health care practitioner in a profession for which licensure in a state or jurisdiction is not required to practice in the United States Armed Forces. To apply, access the PDF located here (PDF). Section 250.483, Florida Statutes, was created in 2018 for members of the Florida National Guard or the United States Armed Forces Reserves who are seeking licensure or qualification for a trade, occupation or profession and is ordered to active duty and his or her training is interrupted, or the start is delayed due to military obligation. Florida will accept training and practical experience while in the Florida National Guard or the United States Armed Forces Reserves in place of the interrupted or delayed periods of training, study, apprenticeship or practical experience if the board finds the standard and type of work or training performed to be substantially the same as the standard and type required under the laws of this state. You must request licensure within six months after release from active duty with the Florida National Guard or the United States Armed Forces Reserves. To apply for a license under this method, please visit the appropriate Florida Board website at http://www.flhealthsource.gov. The applicant must have served in a branch of the United States Armed Forces. The applicant must have been honorably discharged in the past 60 months prior to the date of application. The applicant must provide a DD-214 or NGB-22 form as proof of honorable discharge. The Military Veteran Fee Waiver Request must be submitted with your application for licensure. Florida offers expedited licensure processing if you are the spouse of an active member of the United States Armed Forces, the United States Reserve Force, or the National Guard seeking licensure in health care professions. In order to qualify, you must apply for the license while your spouse is serving on active duty and you must hold an active, unencumbered license in a U.S. jurisdiction or serve as a health care practitioner in a profession for which licensure in a state or jurisdiction is not required to practice. There is no application fee, licensure fee, or unlicensed activity fee for military spouses who qualify for this type of licensure. The initial license fee, initial application fee, and initial unlicensed activity fee will be waived for an applicant who was married to the military veteran at the time of the veteran's discharge, provided the spouse applies for licensure within 60 months after the veteran is discharged from any branch of the United States Armed Forces. This waiver does not include examination fees. The applicant's spouse must have served in a branch of the United States Armed Forces. The applicant's spouse must have been honorably discharged in the past 60 months prior to the date of application. The applicant must provide a their spouse's DD-214 or NGB-22 form as proof of honorable discharge.